The auditorium bulges with people and is warm for November, so I fan myself with the Veterans Day assembly program. After the kids file in and sit cross-legged on the gymnasium floor, the principal makes opening remarks and the 1st graders sing an adorable rendition of America the Beautiful. The oversized projector screen at the front of the room transforms into a slideshow of reunion photos. The principal asks all the veterans to stand. A few moments later, the rest of us hop up to offer a standing ovation, clapping and hollering our thanks the whole time. 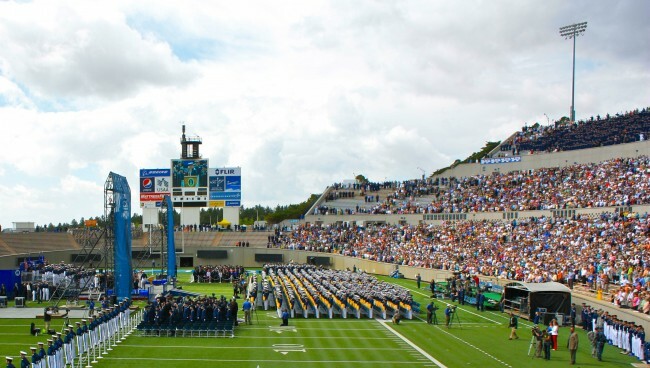 My town is surrounded by several Air Force bases and an Army base, so veterans receive standing ovations at everything from football games to grocery store check-out lanes to airport terminals. And while I am quick to join in the well deserved praise, my eyes usually rest on the veteran’s family nearby. And I always think to myself they deserve a standing ovation, too. So that’s what I’m offering here today: a standing ovation to you, the military wife, for being a veteran of your own kind. For doing what you do – sacrificing in tiny and tremendous ways. For giving in seen and unseen ways. For supporting your uniformed hero while never thinking you are a hero in your own right (even though you are). And while I wish I could hand deliver each of you a uniform full of medals, I can give your heart some encouragement today. I know there are well over 50 reasons why you deserve a standing ovation, but perhaps this is a good start. 1. You don’t buy into “out of sight, out of mind” because you know heart connections reach across state lines and continents. 2. You have the keen ability to distinguish between priorities and second things. 3. You invite neighbors and friends over for Thanksgiving dinner even if you’ve just met. 4. You make McGyver look like a kindergartner with your mad improv skills. 5. You are an expert at furniture tetris and make your same old stuff fit in every new-sized room. 6. You know her favorite Starbucks treat and show up on her doorstep with it in your hand. 7. You plant roots and bloom in record time. 8. You call her on your way to the commissary to ask if she needs anything. 9. You say yes to watching your friends’ kids on a moment’s notice. 10. You juggle more responsibilities than the CEO of a Fortune 500 company. 11. You know thriving sometimes looks like pajamas all day and Cheerios for dinner. 12. You are sensitive to the needs of those around you. 13. You remember that even as the military can feel like a burden-giver, God is the burden-lifter. 14. You treat friends like family. 15. You might have married your soldier or airman on a Saturday and said goodbye to him on a Monday. 16. You know honeymoons are a luxury. 17. You maneuver chaos and uncertainty on a daily basis. 18. You deliver babies and go through seasons of raising those babies as a single mama. 19. You experience seasons of being both mom and dad to your kids, and distance from family means you may add grandma and aunt to the list. 20. You start over every few years: new town, new hairdresser, new church, new everything. 21. You put off buying nice furniture because you know odds are good it will get banged up or lost in a move. 22. Your bed is too empty too often. 23. You don’t get cranky when people make insensitive comments that don’t encourage. 24. You respond to remarks from those who vocally disapprove of your spouse’s job with grace and a side of extra thick skin. 25. You know a worldview that extends beyond your driveway. 26. You keep standing during crushing weeks or seasons of standing alone. 27. You don’t let changing addresses change who you are. 28. You turn your cookie cutter on-base home into a unique work of art, or you’re content to just live in it “as is” because odds are good you won’t be there long. 29. You are among the first to jump in and volunteer. 30. You are brave as you handle problems large and small magnified by distance and separation. 31. You don’t have time or interest in icebreakers and go straight for meaningful conversation. 32. You stretch military pay rubber band thin. 33. You see beyond the faces into the hearts of women. 34. You can rock a formal gown at a dining out. 35. You maneuver a variety of social situations brilliantly. 36. You know all too well how loud silence can be. 37. Your phone stays glued to your pocket not because you’re addicted to social media but because you’re anticipating that phone call or message that tells you all is well. 38. You aren’t afraid to make cross-country trips alone or in a car full of children. 39. You accept the fact that your future will be constantly rearranged according to someone else’s plans. 40. You understand better than most the only way through is through. 41. You handle change better than the average person. 42. You have learned patience in baptism-by-fire kinds of ways. 43. If your friend or neighbor has been MIA for a few hours or a couple days, you notice her absence and check on her. 44. You have the endurance of a triathlete as you continually run the race God’s marked out for you. 45. You are a helper not a hinderer. 46. You don’t have to be convinced moments of today are important and count because you know how to stretch them to the limit. 47. You sacrifice in tiny and tremendous ways as you place your plans on a daily altar. 48. You remember you aren’t one woman filling infinite roles, but one woman trusting an infinite God to fill your empty places in countless ways. 49. Your life is a testimony toward putting faith and trust in Someone greater than yourself. 50. You take comfort in knowing God – not Uncle Sam – has placed you where you are for a divine purpose. 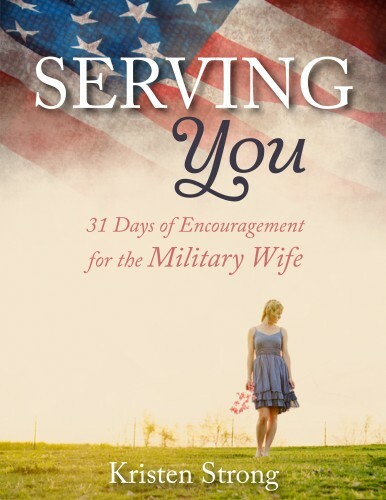 My ebook Serving You: 31 Days of Encouragement for the Military Wife is currently on sale for 99 cents. Woot! You can get a copy for yourself here *or* gift it to the military wife in your life. You can read more about the book here. Military wives, you are some of my very favorite people. From the bottom of my heart, thank you for all you do. You prove bravery comes in endless shapes and colors, and I really couldn’t love you more. Have a beautiful day, friends. My words of THANKS are not nearly enough to express my heart towards our military families ! How kind of you, Cathy. Thank you so much. Thank you so much for your kind words. I have a tear in my eye this morning after reading your heartfelt thanks. Army wife of 19 years. Trish, I thought of you throughout this entire list!!! I’m glad you’ve seen it – this is YOU!! You have my standing ovation, and while I can’t give you medals, you will always have my friendship. I miss you, friend!! :o) Awe, Thanks Jessica!! I miss you too. Love this Kristen, so much…xo!! THANK YOU!! As a 20 year Navy wife, and now a Navy mom, this is a wonderful tribute to the family of those who serve. I know all too well how hard it is to give birth, parent, and be a single mom for months at a time. And then to drop back into the wife role instead of the head of the home when he gets home. It is very hard. And now, I will get to try and grandparent long distance, as my son and his beautiful wife will give birth around Christmas to our first grandson. Oh, I’m so going to miss those precious moments with that baby. Every year, I try to thank the families as well as the veterans, as many families fall apart during long deployments. Thank you for this beautiful list! Guess the male spouses out there don’t deserve any credit or thanks….they just simply have it so much easier when their wife deploys…they don’t take care of the kids, don’t worry their wife won’t return. It is no wonder male spouses feel isolated…. Oh goodness James, of course you deserve credit and gratitude as much as anyone! 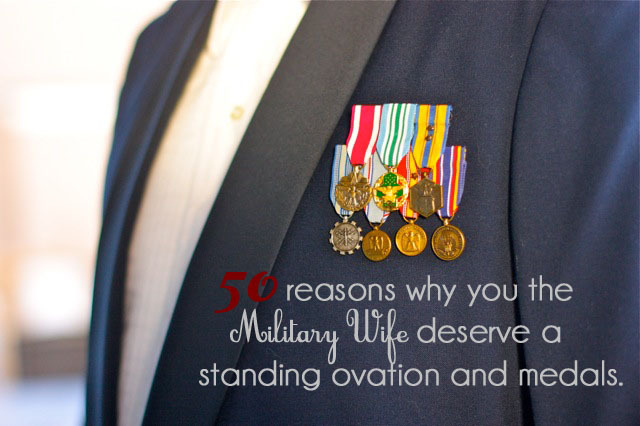 I use the term ‘military wife’ because as one myself, women are what I know and can most relate to. While I believe *all* military spouses – wives and husbands – are heroes and work incredibly hard, I can only write what I know and to whom I know. So, my deepest apologies if I contributed to your feelings of isolation. My intent was simply to encourage, not to exclude. Here here, James. I am constantly experiencing this sort of discrimination during my 11 years and counting of being a military husband. It really gets old. Very exclusionary article, indeed. Josh, I’m so sorry that my post made you feel excluded. But I cannot write from the perspective of a military husband because I am not one myself. Also, I wrote this with my own blog’s readers in mind, and my readers are women. As I told James, my intent was to encourage, not exclude. 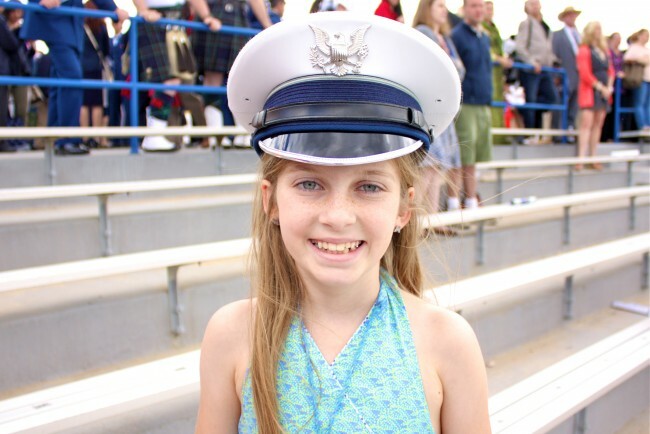 I thank you for your contribution here, and I beg your grace as I consider how to use my words to best encourage military families. May God bless and keep you and yours today and always. You are so appreciated and valued. I am witth you James and Josh. I served for 8 years, and got out while my wife stayed in. She is currently deployed and the struggle is real. I have no family support channel as they are on the other side of the country and just a few friends, because lets face it, we can’t relate to wives. Even if we could, it would start a firestorm. Raising children is difficult for us because we don’t always have that motherly instinct that is sometimes necessary. We are the minority in the military community and no one knows how we feel. If there is a man on the cover of Military Spouse magazine, its the servicemember. As a man it is psychologically difficult because, even though trends are changing, we were all raised with the ideals that we were supposed to be the provider. I hate going to Military events or gatherings because I know I am being judged on my dependent status. Most men say they wish they could stay at home and raise the kids, but they don’t realize tthe difficulty. As a veteran myself, I hate to watch, my wife go off and do something I feel I should be doing. Although we are few and rarely recognized, just know there are others out there. Guys, You all should start your own blogs. That way instead of being upset that a woman is not writing about something you admit they can’t understand you could be encouraging others. 🙂 Help each other instead of tearing down this very sweet woman. She posted a blog about what she know..;) I’m sure you all can do the same. God bless and thank you for taking care of your families. Thank you so very much for this! Yesterday while I celebrated with everyone else and received thank you’s to pass on to my husband I felt invisible. As wives our toll is great as well. My family has done 3 deployments as well as many schools, AT’s, and whatever that also take him away for weeks and months at a time. I have endured so much in his absence that he probably only knows half of. I know there are many of you out there like me. I wholeheartedly want to thank all you lovely ladies out there fighting the uncelebrated battles at home that are necessary to raise a good family despite our circumstances. Keep fighting the good fight! You can do this! THANK YOU! This is beautiful and well deserved. However it is time someone out there recognizes that all military spouses are not wives! I am a Navy Mom of 2 sailors. My son-in-law was a Navy Dependent and supported may daughter through out her enlistment while working full time, taking care of the baby 3 days a week plus going it school online. Standing “O” to that! Thank you so much ! You are a gem ! Being a military wife of 26 yrs I have always gotten tell your husband thank for serving and yet deep in my heart I was hoping someone would say thanks for all you do also but instead you just stand there and say thank you I will tell him . So with tears in my eyes I say thank you for all you do ! God bless our soldiers and their families ! It has been one of those days, and I thank you for the words that you chose to write here. As a Military Wife, I have learned that when there is a situation I don’t like, I should make an attempt to change it. I am positive the Military Wives in our country have not always received recognition for the roles they play in the lives of their Armed Forces spouses, be they Soldiers, Airmen, Sailors or Marines. Except for all the God stuff and not using “spouse” instead of “wife”, nice article. While most of theses things are true…the part that is not is that they are not done with the ease and grace that it apppears. There are often hours of tears and feelings of being overwhelmed…and because you are often in a new place and you know no one, husband is gone or deep into his knew responsibilities…these are dealt with in isolation. This life does change you – sometimes for the better, and often for the worse. I can say I have friends all over the world, but what I won’t and don’t have after 25 years is a community of friends and family near. Those people you can call for small favors, not just emergencies. As you age the play groups go away and people do not let you into their set lives with ease. People I have been extemely close to barely try to keep in touch. I think mostly due to the fact that they assume we will never see each other again (and for the most part they are correct). To complain of these things is seen as a sin and betrayal by this military world. This life is suppose to appear as each and every wife is stoic and as strong as an epic heroine- most of us are not that. I do thank you though for taking the time and thought to realize this life is not easy and goes without official recognition- that is truely our sacrifice. Cindi, I don’t think it’s wrong to lament the difficulties of the military life. You’re absolutely correct: there are many days full of tears and feeling overwhelmed. Days full of messy realities. While it’s important to acknowledge this, it doesn’t take away from the fact that we are probably doing a better job at handling it all than we might feel. Thank you so much for sharing your valuable perspective…you are a gift. A standing ovation for you and ALL the military wives who are truly the backbone of this great Nation of ours! Thank you for the many, many sacrifices you make! I wanted to say Thank you for writing this. I sat here and began to read and not a tear til #19 then they started rolling. I am a Army wife of over 22 years, have been over seas, went through my second pregnancy, and birth alone, my husband met his son when he was 4 months old. That was the early days when we thought it was hard. Now I’m a Army Mom my son is in Afghanistan, my Daughter-in-law is in my shoes she has went her entire pregnancy with out him. She is due end of November and I was suppose to fly down for the birth luckily my son will be home as long as baby holds out. But me not so lucky last minute TDY for hubby. I have 2 other children who need me and I understand that things happen, don’t mean I have to always like it but it happens…. My husband and I were together before the Army High school sweethearts. I have nothing bad to say about being a Army wife it has made me the woman I am today strong, self sufficient, outgoing, very flexible, and grounded in my faith that I am exactly where God wants me to be right now for the time being until Uncle Sam sends us new orders to keep rolling along! My Prayers go out to everyone who still remains deployed this Holiday season for both Soldiers and their families! I’m a military wife of almost 20 years and love this article. I tease my teens that #4 is so me, although they say the opposite. We have many funny memories of mom pulling “McGyvers” trying to fix things that dad had to re-fix upon his return home. We don’t want or need a standing ovation or medals….. just love, prayers, and support. I am just reading this today. As a 35 year Navy wife (now retired), i can really relate to many of these! It was sometimes frustrating, NEVER boring, and always an adventure! It is very encouraging and challenging. Please be aware it is written from a very God-honoring point of view. LOVE that. Thanks so much for sharing this resource with us! Great reminder to us all – of the bravery of the families as well. As someone who does not have anyone close to them in the military it’s encouraging to read this list. So many hit me in different reasons for different ways. Especially 2, 3, 4, 9, 43. Ok.. maybe all of them:). Thanks for this. Great article! Was so encouraging to me 🙂 My husband has been underway on a boat for several weeks. I am a Coastie wife of 13 years and we have two beautiful sons. God bless. I would add that we understand control is an illusion and have learned to live joyously in today. We have to plan ahead without being able to know where we will be. And we know how to build a marriage through deployments that cost more than our government could ever compensate us for. Why not make it military spouses? We are going in number every year. Wifes have other wives to talk to. Husbands have very few peers less than one in ten.